I've always been curious about people who conceived past and present Luv' projects or have interest in the pop trio. That's why I've decided to interview them. To read old interviews, see the "Interviews archives" page. Piet Souer: The "other" architect of the Luv' sound. Two men created the unique Luv' sound (influenced by Bubblegum and Synthpop, Exotica, Disco, Latin American arrangements and Schlager): Hans van Hemert and Piet Souer. Both of them composed the whole Luv' repertoire under the pseudonym "Janschen & Janschens". Piet Souer is a true "maestro" because of his tailor-made compositions. It's hard to sum up his incredible career in a few sentences. His work with famous acts (Anita Meyer, Mouth & MacNeal, Liesbeth List & Ramses Shaffy, Doris D. & The Pins, American Gypsy, Champagne...) made him gain twenty two gold and platinum records and two Conamus Export Prizes. He received an “Outstanding Song Award” thanks to the song “Too Young To Know” performed by Anita Meyer at the World Popular Song Festival in Japan in 1981. Souer collaborated with international artists such as Englbert Humperdinck, Vicky Leandros, Helen Shapiro and Kathy Kissoon. In 1982, French Bulgarian entertainer Sylvie Vartan sang his self-penned chanson "La Sortie de Secours", released as a single and a cover version of “I'm So Sorry” (originally performed by José Hoebee). The same year, British group Tight Fight covered "Fantasy Island" (originally performed by "The Millionaires") which became a UK Top 5 hit and a European Top 10 single. Moreover, this eclectic artist wrote two songs for the Eurovision Song Contest: Bernadette’s Sing Me A Song (in 1983) and Maxine & Franklin Brown’s De Eerste Keer (in 1996). Souer is still busy in the music business. One of his most recent productions is the female singer from Volendam Tamara Tol (who currently promotes her music in Germany). Last December, he asked José to render a couple of tracks with his former band (The Valiants) in Eindhoven. Ralph: When and how did you first meet José? Piet Souer: I must have met José in the early seventies when she was singing with her sisters. I helped them out with harmonies and even recorded a song with them (1). Ralph: When and how did you ask José to join Luv'? Piet Souer: When I was leaving for Hilversum on request of the record company, I promised José that if I ever would see a possibility to sneak her in, I would do that. Ralph: Hans van Hemert and you composed as "Janschen & Janschens" the Luv' repertoire? How was the songwriting process? Piet Souer: Yes, we composed all the songs. Sometimes, I came up with ideas, sometimes he did. But he was one step ahead when it came to commercial songwriting because of his success with Mouth & McNeal (2). Ralph: How would you define the Luv' sound? 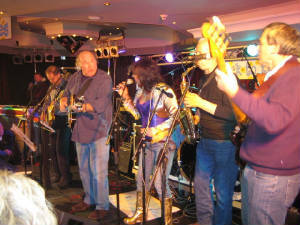 Ralph: The majority of the group's songs were pop tracks as well as compositions influenced by the Latin American sounds. It was Luv's winning formula. 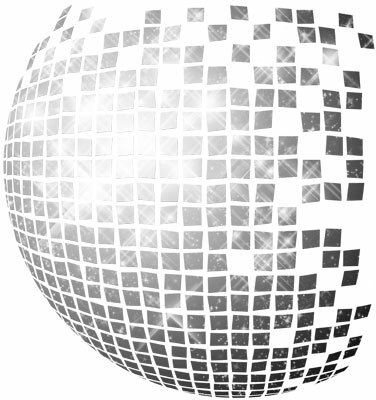 However, at the time of their glory, Disco music ruled the world. The trio recorded some disco flavoured songs (like "Everybody's shaking hands on Broadway" or "Flash"). Don't you think that by choosing a strickly disco style, the ladies would have been greater and reached the American and the British markets? Piet: This is an important question. I think that the ones who decided which title would be released as a single were more European musical focused. It means that you go for the accessible songs based on European musical history (like German/Deutsche Schlager). In my opinion, it could have been bigger when the Anglo-Saxon influences would have been greater. Beethoven Vs Gershwin. Thanks for pointing the tracks, they happen to be mine. Ralph: What's your favourite Luv' song? Why? Piet: Oh well. I don't know. I always feel weak when I hear them singing 'cause it was so joyfull. 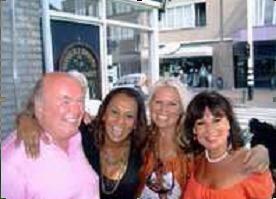 Ralph: You formed a limited company (InterLUV') with the ladies, their manager (Pim ter Linde) and Hans van Hemert. It lasted a couple of years. What was the aim of this company? Were you satisfied with its results? Ralph: During their heyday, Luv' had two labels (Philips/Phonogram in 1977-1979 and CNR/Carrere in 1979-1981). Which of these record companies respected the most their integrity? Piet: I really don't know it. The success of a group like Luv' attracted companies that didn't need to produce that much of an effort because their charisma was already there. Ralph: After Luv's break-up, the ladies went solo. What do you think about their solo career? Piet: I think that José did a good job by collaborating with Pim Koopman (4). I respect this guy. A good musician and producer. He recorded my song "I'm so sorry" which became later a Top 10 single with Sylvie Vartan in France. Ralph: When things were getting worse with Luv', you were involved in another project: Doris D. & the Pins. Were there any songs of Doris that were first meant for Luv'? Is it true that José recorded background vocals on Doris D's tracks? Piet: No there were no songs ealier meant for Luv' and yes, José did the backing vocals on that album. Ralph: Apart from Luv' and Doris D. & The Pins, are there any other female act that you appreciate? Ralph: You are close to José. Among her tracks that you produced, which one do you prefer? Ralph: Marga Scheide formed another Luv' act with other members. What's your opinion on this version of the group? Piet: Luv' was too strong in their performance and being. It could never be replaced. It also has to do with their inspiring togetherness with other people. Ralph: After Luv's reunion in 1993 and the success of their Gold compilation, the girls recorded their last studio album "All You Need Is Luv" with you and Martin Duiser (who also took part in the Doris D. project). It was only available in the Kruidvat stores. Why wasn't it possible to release it through a normal record company? Piet: Because it was a special project with Kruidvat, which included exclusivity. BIG THANKS to Piet for making this interview possible and for your music !!! (1): Piet Souer produced in 1976 a single (entitled "Elongi") performed by José and her sisters. (2): Mouth & MacNeal, alongside Luv', was one of the most successful productions of Hans van Hemert in terms of export success between 1971 and 1974. (3): Doris D. & The Pins was a British/Dutch girl group whose most successful records ("Shine Up", "Dance On", "The Marvellous Marionettes", "Jamaica"...) were produced by Piet Souer and Martin Duiser. They were popular in the Netherlands and Flanders and to a lesser extent in the German speaking countries. They never reached the success of Luv'. (4): In addition to the pop duo "Maywood", Pim Koopman produced José's biggest hits in 1982 ("I Will Follow Him" and "Secret Love"). (5): Ilse DeLange is a Dutch country and pop singer who's been popular for the past ten years in Holland. Her latest album "Incredible" hit the number one spot and went platinum in late 2008. (6): Sabrina Starke is a R&B/Jazz/Soul artist (signed to the prestigious label "Blue Note"). Her single "Do For Love" was a Top 10 hit and her first album (Yellow Brick Road) peaked at #9 and went gold in Holland in 2008.